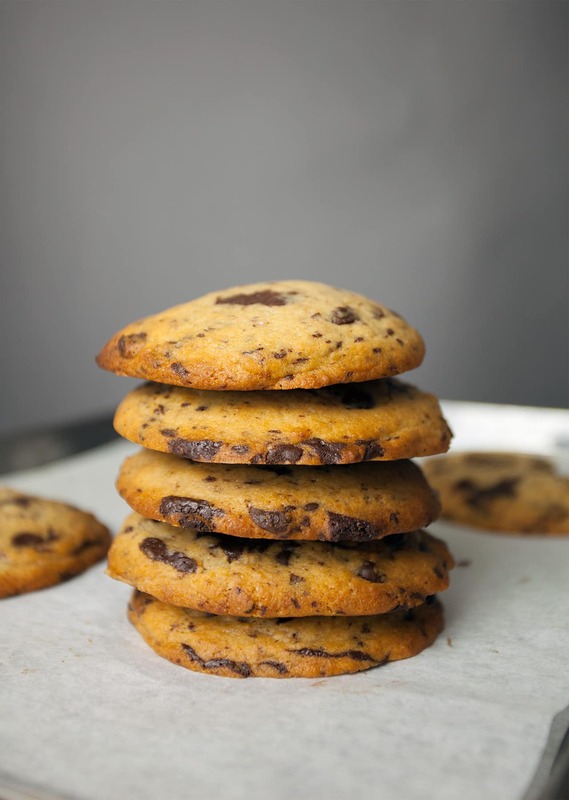 These chewy chocolate chip cookies are so, so simple. 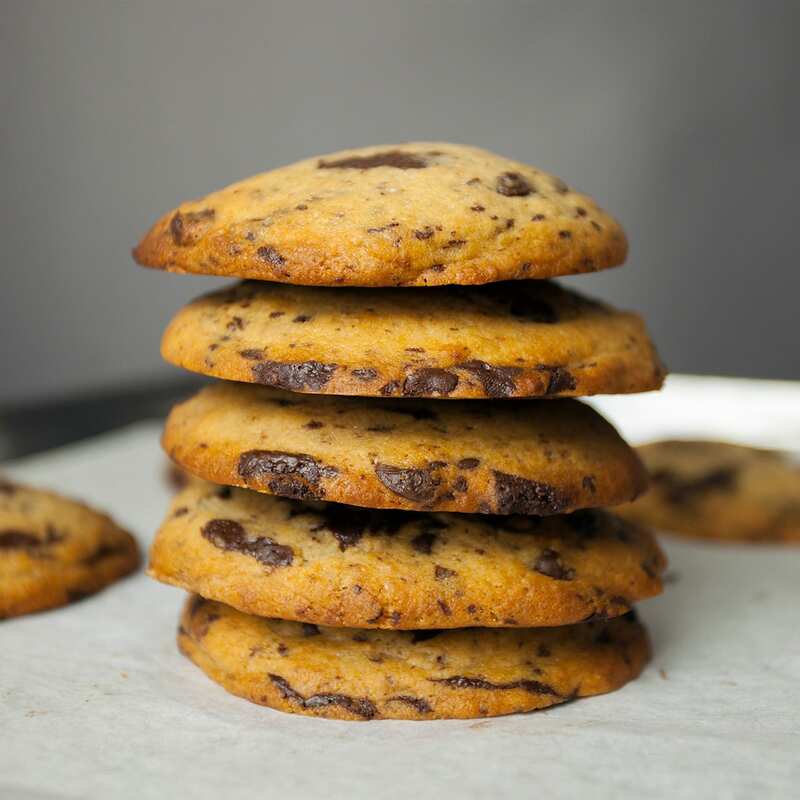 We’ve tested this recipe half a dozen or so times, which has involved testing these cookies on all of our friends and family, and the resounding feedback has been amazing! These cookies are lovely and chewy in the middle, but crisp on the outside. They’re deliciously sweet, while being moorish enough that you’ll find it hard to put them down! Don’t forget that not all sugar is vegan. We always recommend researching the brand before you buy sugar to make sure it’s vegan friendly! Our local supermarket has vegan-friendly chocolate chips, but if you’re struggling to find anything, simply substitute for dark chocolate. Transfer the coconut oil and sugar to a mixing bowl, and stir until fully combined. Add in the almond milk, applesauce and vanilla extract to the mixing bowl, and stir. Then add in the flour and baking powder, and fully combine. Prepare the chocolate chunks by finely chopping the dark chocolate with a knife. Then stir in the chocolate chips and the chocolate chunks into the cookie dough, and mix until evenly distributed. Meanwhile, preheat the oven to 180°C or 350°F and line a large baking tray with baking paper. Remove the cookie dough from the refrigerator and spoon the dough onto the baking tray using an ice cream scoop or a tablespoon, leaving a couple of inches between each spoonful. Bake for 10 - 12 minutes in the preheated oven, turning the tray around halfway through baking if the cookies are browning more on one side than the other. Leave the cookies to rest on the baking tray for 5 mins, then transfer to a cooling rack.